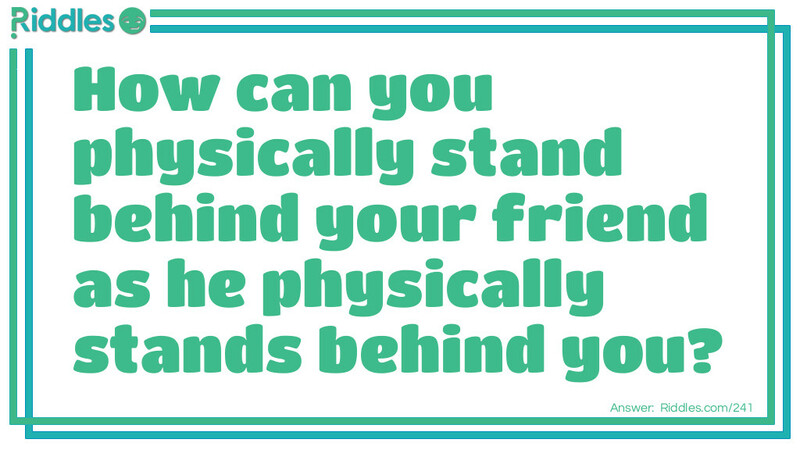 How can you physically stand behind your friend as he physically stands behind you? By standing back to back. Behind Who? Riddle Meme with riddle and answer page link.